Last month, the little brother of Samsung Galaxy S4 has been released to the public. Operated and runned by Android 4.2.2 Jelly, Samsung Galaxy s4 mini has powered by 1.7 Dual-Core Processor. Although it is similar to its big brother and offers many popular features that the Samsung Galaxy s4 have, it is much more comfortable to handle , fits exactly into your palm and can be operated with one hand. Similar to the look and design of its big brother, the Samsung Galaxy S4 Mini has 4.3 Inch, 960x540 pixel Super AMOLED screen. Much lighter than its brother S4, S4 Mini's weight is 107g only. Rear camera that has 8MP; front with 1.9 MP HD and Internal Storage of 8GB. As what stated above, the Samsung Galaxy s4 Mini is released and out of the public last month. It will be available in all stores on July 2, confirmed and announced of the Three Leading Network Provider. 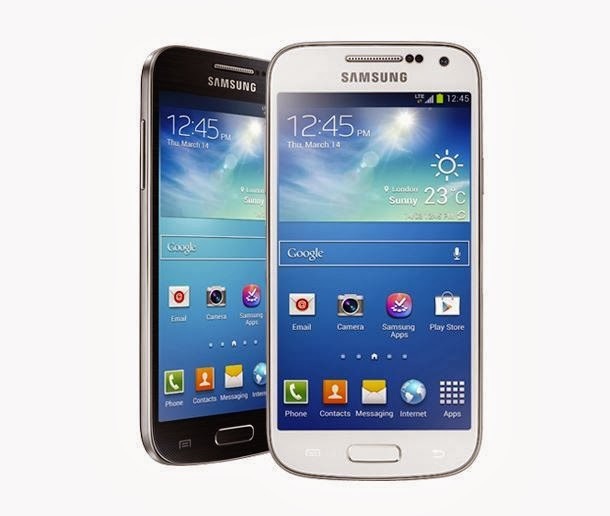 Samsung Galaxy s4 Mini is now available with a Price of 23,000.00 (SRP). The available colors of Samsung Galaxy s4 Mini is Black Mist and White Frost. Samsung Galaxy S4 Mini is highly portable, lightweight and low-cost version of the Galaxy S4, the world's best selling Samsung smartphones today. the best to mga tol...simple but terrible in specs..